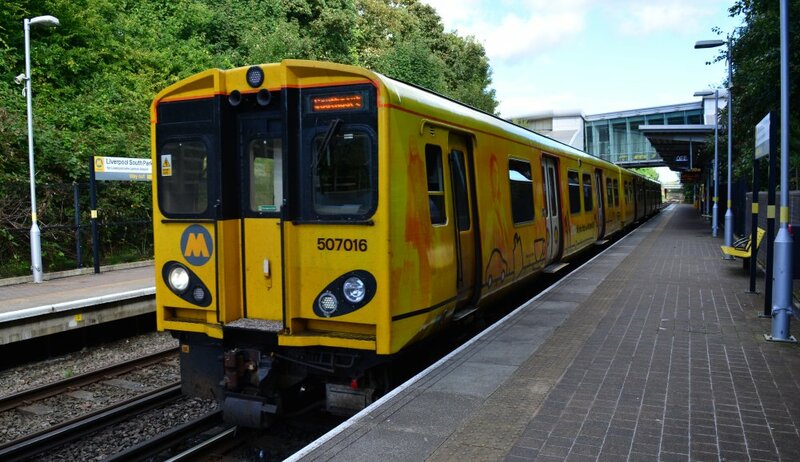 Class 507 EMU Merseyrail train enters Liverpool Lime Street Metro station with a train for Chester. The Class 507 3rd rail EMUS were built by BREL at York from 1978-1980. 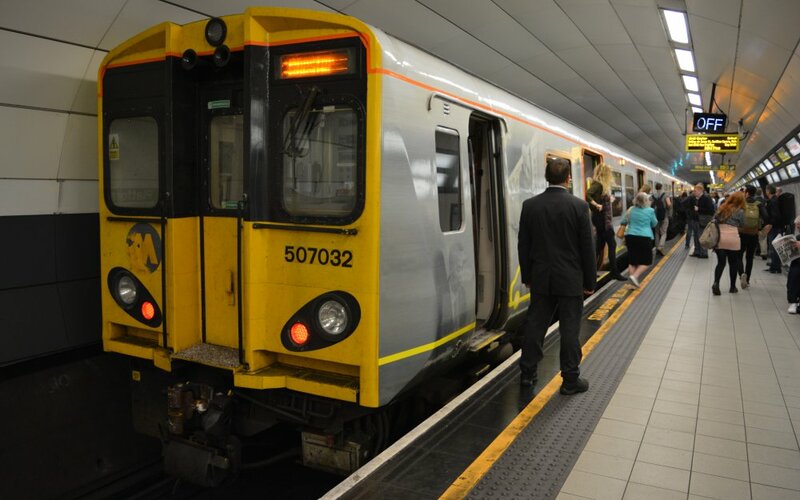 Class 507 units were built with steel underframe and aluminium alloy body and roof. Class 507 units have a top speed of 75 mph. The Class 508 third rail EMUS were also built by BREL at York from 1979-1980. 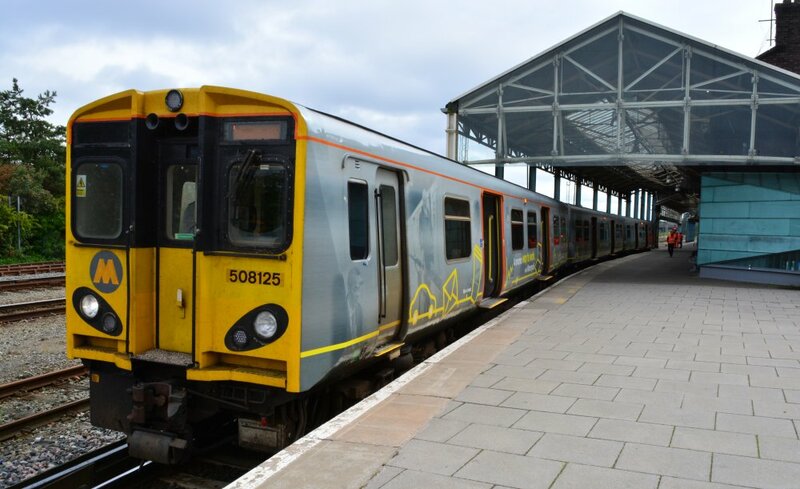 Class 508 units were also built with steel underframe and aluminium alloy body and roof. Class 508 units also have a top speed of 75 mph. 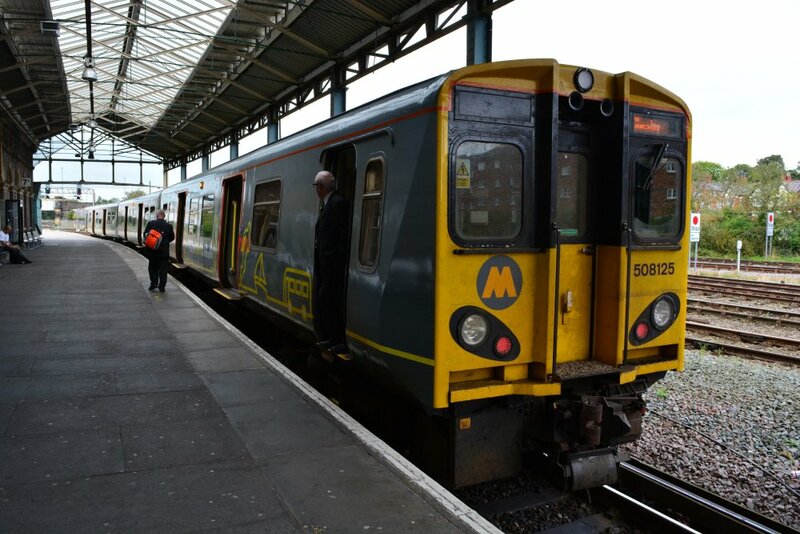 Class 50 and Class 508 EMUs can be used for multiple working within the two classes. 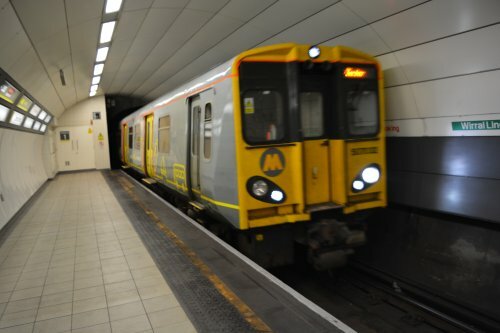 Class 507 EMU 507032 in 'only' Platform 1 Liverpool Lime Street Metro station. 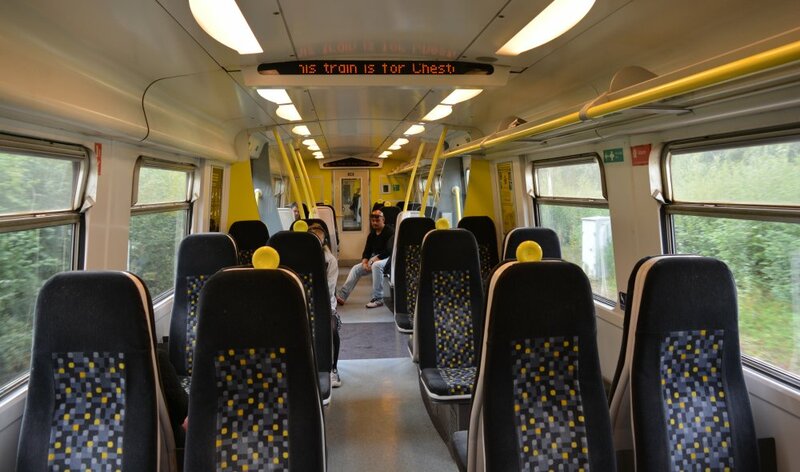 The interior of Class 57 electric multiple unit 507032. Class 507 EMU 507032 leaving Chester station with a Merseyral train for Liverpool Central station. 3-car Class 508/1 Class 508 EMU 508125 standing in Chester station. 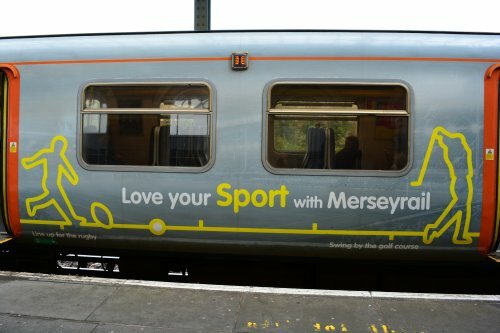 The sporting interests of Merseyside illustrated on the side of this Class 508 EMU unit.